(SPOT.ph) The scene in front of Hot Star Large Fried Chicken in Taiwan is very different from the newly opened one in the Philippines. When managing partner Richard Chua decided to bring the popular chicken shop to Manila, he knew he had to alter the grab-and-go kiosk formula to something more fitting to local habits. "Filipinos like to sit down and talk while eating. We're spoiled," he joked. After several branches in several countries, Hot Star Large Fried Chicken now has its first sit-down franchise in Blue Bay Walk, Pasay City. 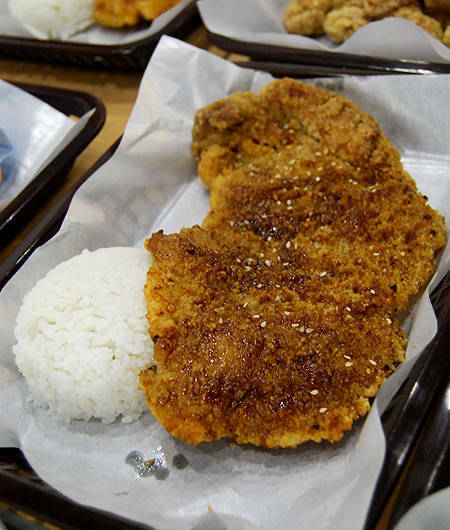 Hot Star is known for enormous chicken fillets that are almost 30 centimeters long. "We don’t pound it. It’s really the cutting technique. It's how we cut the chicken; it's how we open up the chicken," says Chua. 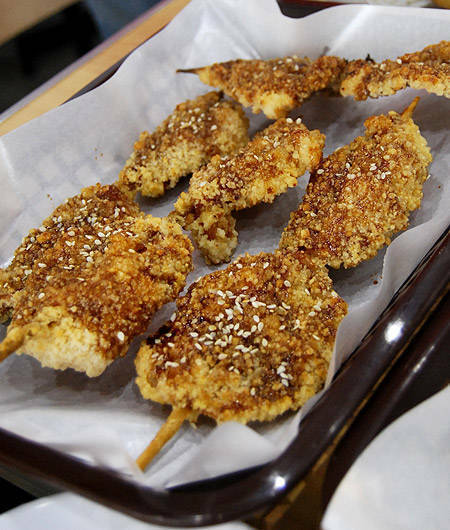 The even cuts are seasoned with salt and pepper before being blanketed in their signature breading then deep-fried in soya oil. The chicken looks slightly dry from the outside, but there's enough of a crumb coat to maintain a nice and juicy core. Three flavors are available: the Original (P110) with an innate peppery kick; the Crispy (P110) with a more balanced flavor; and the BBQ (P125) with a sweet barbecue sauce and sesame seeds. 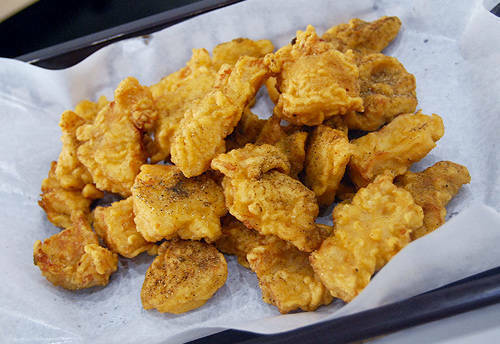 Bite-size versions of the three, called Chicken Popcorn (P95), are also on offer. A few items on the menu are unique to the Philippines. 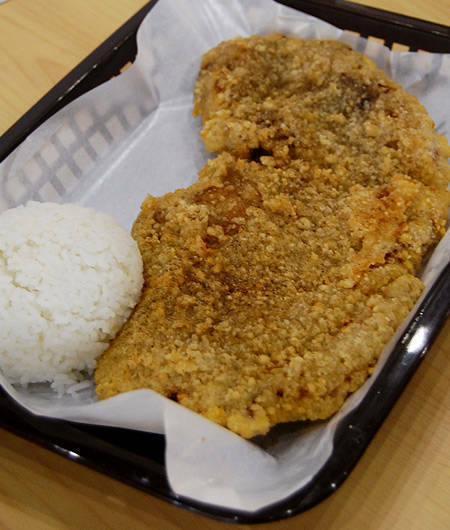 The Large Crispy Fish (P110) is on the salty side, but makes up for it with a great succulent texture. 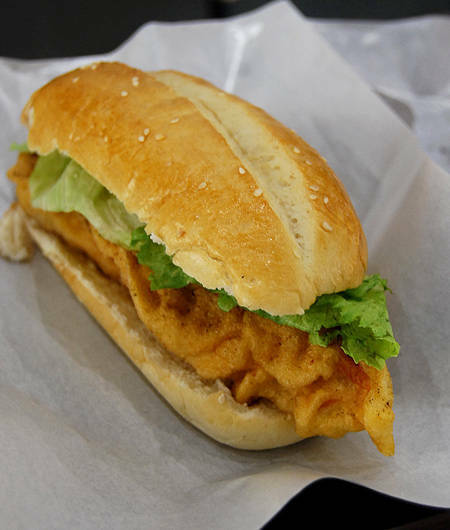 Hot Star Philippines also carries Chicken and Fish sandwiches (P145 each) with garlic mayo and honey mustard sauces, respectively. More familiar dishes are the Chicken Skin (P45/three sticks), which is crispy and drizzled with sweet barbecue sauce, and the Classic Spaghetti (P50) made Pinoy style. 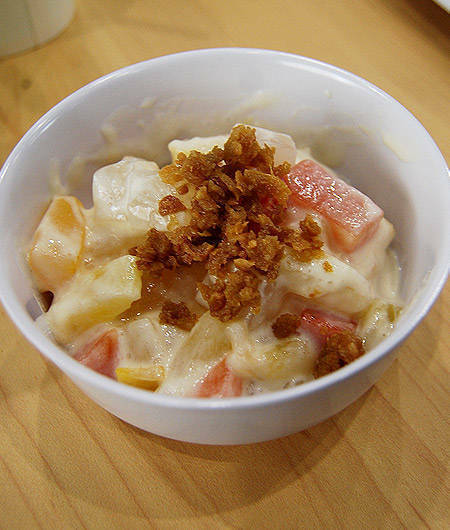 For dessert, the Crunchy Fruit Salad (P45) is made extra special with bits of crunchy chicken skin over fruits and cream. Black Gulaman and Almond Soft Serve Cones (P15 each) are also refreshing options to end your meal. Several tweaks have been made to the Hot Star formula to please the Filipino diner. The inside is structured like a fast-food joint. 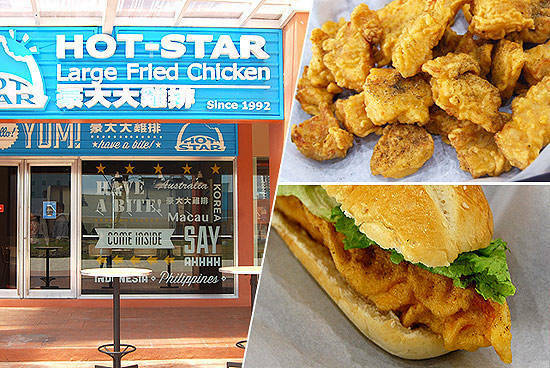 But Filipinos can still get a taste of what the original Hot Star concept is-via an Express Lane where customers can just grab their chicken and go.